At the end of 2008/beginning of 2009, at the age of 40, I decided to change my whole life. 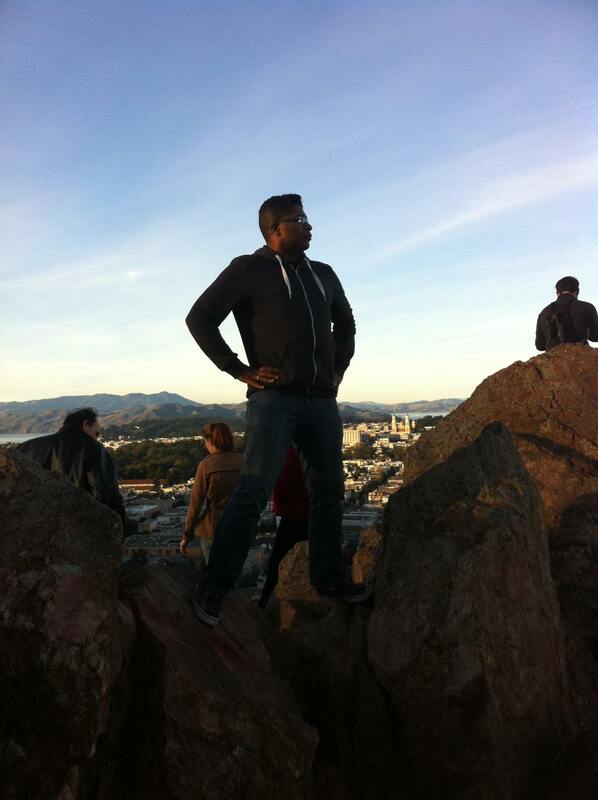 I left Northern California (after 22 years), left my job in Event Management (after 7 years), left my roommates and friends and moved back to my hometown of Los Angeles. It was the BEST decision I have made. I’m close to my family again. While here I’ve been able to explore my many hobbies: Painting, writing, running marathons, house fixing and art collecting. I also do voiceover work and some background acting. BUT i really found my passion!! My passion is Organizing!! I breathe, eat and sleep it! 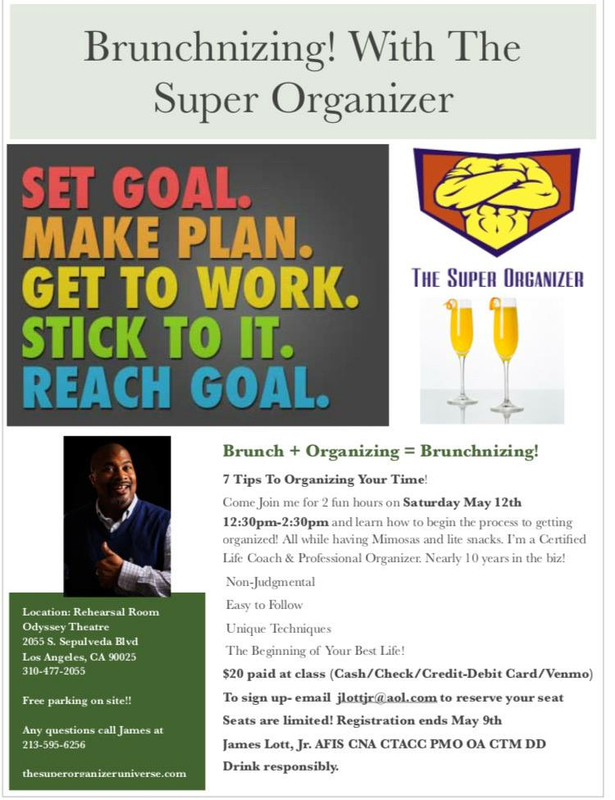 I am the founder and owner of this Professional Organizing business called The Super Organizer. I started this business 3 years ago. I took bits and pieces of things from my previous careers (i.e. Nursing, Event Planning, Retail, Sales, Merchandising, Cleaning, just to name a few) and created this business and it continues to evolve, hence my enrollment and completion in Life Coaching. I believe what i am doing is life coaching my clients on how to live in their homes and offices in a way that is unique, individual, efficient, and positive! It is my belief that everyone deserves to have a non-complicated life filled with organization. And I will continue to do my best to help anyone and everyone achieve that goal. Below are some of the services that The Super Organizer offers. To see more go to thesuperorganizer.com. There are some services not on the list that can be discussed. Available 7 days a week (except holidays). Available in Los Angeles AND Nationwide! Call or email for rates and pricing. Organization For Your Home or Office! 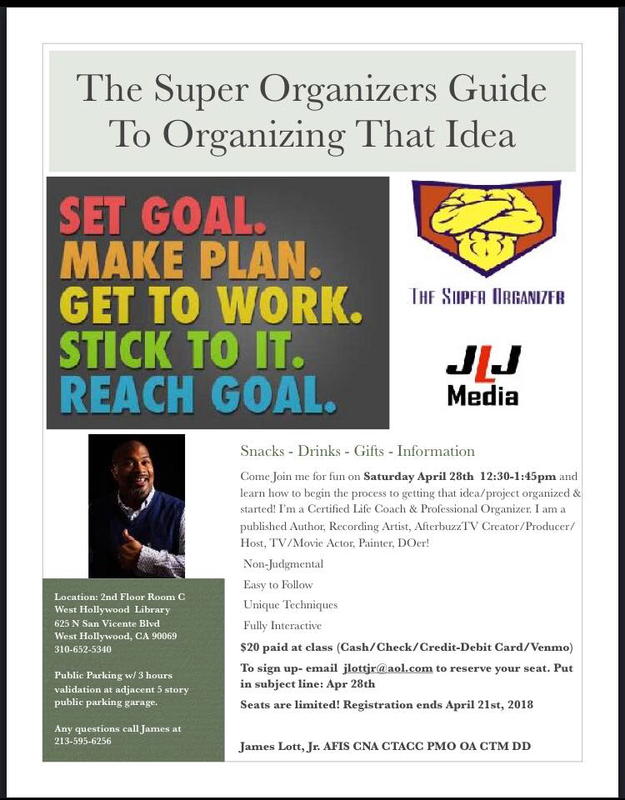 Need someone to do all the tasks that you DON”T want to do, or don’t have time to get to, or have no idea how to start, that’s THE SUPER ORGANIZER. 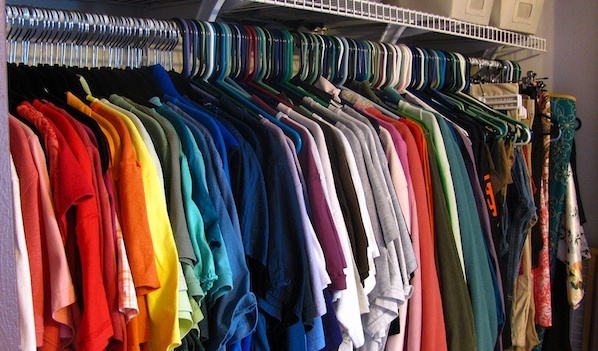 Everything from cleaning to shredding to closet and garage organization, we can do it! Take at look at our Services Page for more info. Organizational Life Coaching available too.